Yesterday I was invited to join authors Anita Moorjani and Dr Eben Alexander on the BBC Worldservice to share and talk about near-death experiences. Both Moorjani and Alexander have published and spoken extensively on the subject. 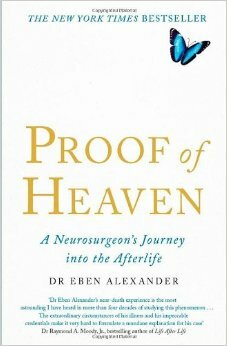 Dr Alexander is an American neurosurgeon who has shared his remarkable story in his book Proof of Heaven: a neurosurgeon's journey in the afterlife. I won't go into the details here but please learn more at http://www.ebenalexander.com/. 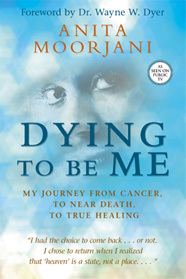 Ms Moorjani has also risen to fame as a popular speaker and best-selling author through her book Dying to Be Me, her remarkable account of a miraculous recovery from cancer (http://www.anitamoorjani.com/). By comparison, my story is mundane and nowhere near as dramatic; yet, like them, my near-death experience has had a profound effect on my life and I shared my thoughts with them in yesterday's programme, which you can listen to here. As a result of this sharing of stories, I would like to invite you to share yours and, with your permission, share some of them on an upcoming Teller and the Tale programme dedicated to near-death stories. If you have had a near-death experience of any kind, please record in an .mp3 format and send to me using Dropbox (using email rjmwilliams@hotmail.com) or contact me to make arrangements. Stories should be approx 5-7 mins. Longer stories will be edited to allow for others. If there's lots of response, I may consider producing a follow-up show later in the year. I also understand if you'd rather not share your story. My experience occurred when I was 15 and I kept silent for many, many years. At the time, I was too scared of being punished by my parents or upsetting my grandparents (whose care I was in at the time). As far as I know, none of the other teens involved said anything and to this day I do not even know who the others were or who saved my life. It took nearly 25 years before I shared the story and only then with my wife. It had always seemed quite a private affair. Yet after yesterday's sharing on the radio programme, I felt different. I thought that perhaps someone out there might feel a little less alone or reassured that whatever comes after this life (and I'm not entirely sure myself), it felt very peaceful and loving. And although their stories are very different, both Anita Moorjani and De Eben Alexander agreed.